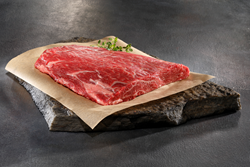 Flat-rate shipping and tiered pricing lead a host of improvements at snakeriverfarms.com, the web's leader for American Kobe Beef, Kurobuta Pork and Northwest sourced beef. Snake River Farms is creating a better customer experience for the 2014 holiday season by implementing a wide range of improvements starting with reduced shipping costs and tiered pricing. The new shipping model utilizes a flat rate starting at just $9.99 for standard delivery (express and overnight options are also available). Adding to a great customer experience is the addition of tiered pricing which provides discounts for volume purchases. Making all these changes visible to consumers is a new website that combines the Snake River Farms and Double R Ranch brands. The visually rich website provides product photography that accurately depicts the full range of American Kobe beef, Kurobuta pork and Northwest sourced beef. Customers can now purchase any of the products under the Snake River Farms and Double R Ranch from a single point of entry on the web. The new website also showcases an expanded assortment of carefully curated product bundles for gift giving or personal use. Snake River Farms American Kobe beef, Kurobuta pork and Double R Ranch Northwest beef can be purchased online at http://www.snakeriverfarms.com For more information or to order Snake River Farms products, visit the website or call 877.736.0193. Snake River Farms is passionate about delivering only the finest eating experiences, a luxury once exclusively reserved for the world’s most esteemed restaurants. Featured on the menus of three-star Michelin-rated restaurants, and at top retailers and restaurants around the world, Snake River Farms products include American Kobe (Wagyu) beef, Kurobuta (Berkshire) pork, and gourmet ham. The family-owned business began more than a decade ago with a small herd of Wagyu cattle from the Kobe region of Japan. The proprietary herd has developed into one of the finest groups of Wagyu/Angus cross cattle in the U.S. Snake River Farms offers a full line of American Kobe beef and Kurobuta pork products including steaks, roasts, gourmet hamburgers, hams, frankfurters and hardwood smoked bacon. All products are made with only the finest ingredients to ensure an extraordinary eating experience. For more information visit http://www.snakeriverfarms.com.